This ended some analysts’ expectations of a price rise following January’s 0.8 per cent increase. 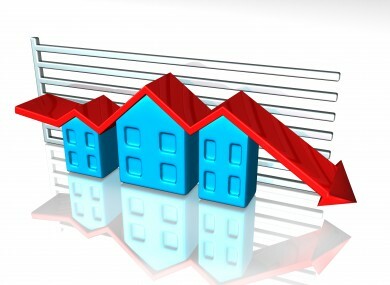 Last month’s dip takes the annual rate of house price growth down to 2.2 per cent from 3.2 per cent a month ago. Robert Gardner, Nationwide’s chief economist, blames falling consumer confidence and the squeeze on household budgets: “Month to month changes can be volatile, but the slowdown is consistent with signs of softening in the household sector in recent months. Retail sales were relatively soft over the Christmas period and at the start of the new year, as were key measures of consumer confidence, as the squeeze on household incomes continued to take its toll” he says. Gardner points out that mortgage approvals fell to their weakest level for three years in December - a sign that activity in the sector has fallen. Nationwide expects house prices to rise only one per cent in 2018 thanks to subdued economic activity and ongoing Brexit uncertainty. “How the housing market performs in the year ahead will be determined in large part by developments in the wider economy and the path of interest rates. Brexit developments will remain a key factor, though these remain hard to foresee” admits Gardner. Jeremy Leaf, north London estate agent and a former RICS residential chairman, says: “As one of the most closely-watched indicators of property market strength due to its longevity and accuracy, Nationwide’s figures may cause concern. At this time of the year we would have expected an increase, not a fall, in house price growth.